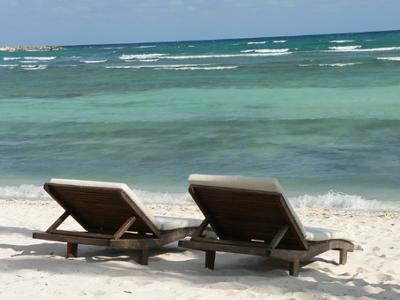 Come to Playa del Carmen, one hour south of Cancun, a vibrant little town by the Caribbean sea. Get together with your friends and browse our website to choose one or several of our beautiful spacious and comfortable Blue Pearl Suites condos minutes from the beach, great shopping, dinning and superb nightlife! 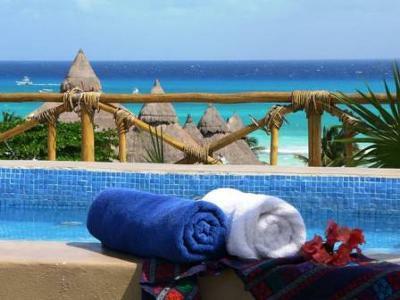 We have condos for 4 up to 6 adults, some with exquisite ocean view, all of them with private terraces and hot tub. Hotel service is included! You'll love our location, half a block from the sandy beaches and turquoise water, the best beach clubs and DJ´s, margaritas and piña colada under the sun… Playa is s great spot to relax, have fun and party, but it is also the perfect place for extreme adventures. Remember the things you said you'll do before growing old? 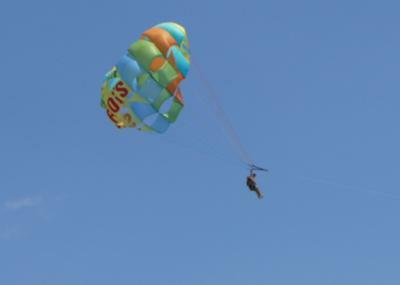 Why not all of you dare to sky dive, explore an underwater cave or go for a Harley Davidson tour of the Riviera Maya? Or take an exciting tour on a super size catamaran through the incredible Caribbean waters including snorkeling between sea turtles and drinks at sunset… Just tell us what you would like to do and we ´ll take care of it. Playa is fun under the sun!